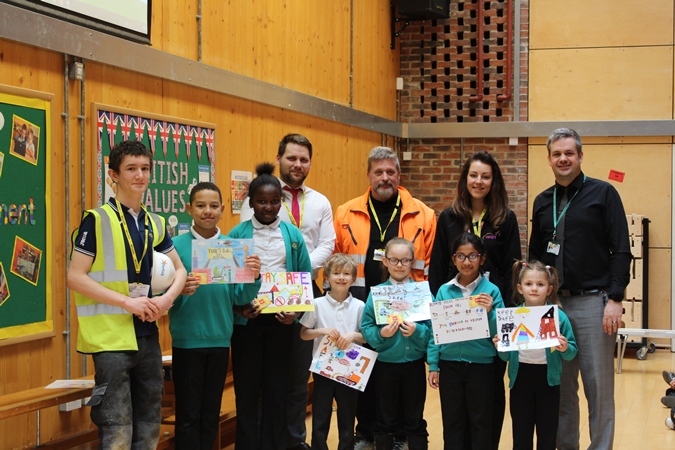 The Considerate Constructors scheme is designed to improve the image of construction and recognises schemes where site teams have gone above and beyond to ensure that residents are not inconvenienced by the development. In addition, it encourages teams to try new and innovative measures to keep residents happy. 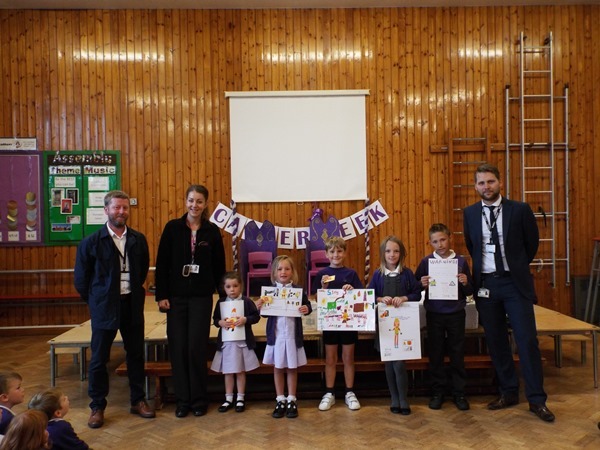 To encourage the children to consider their own safety around WDH’s environmental scheme at The Avenues, a short walk from the school grounds, a poster competition was launched. 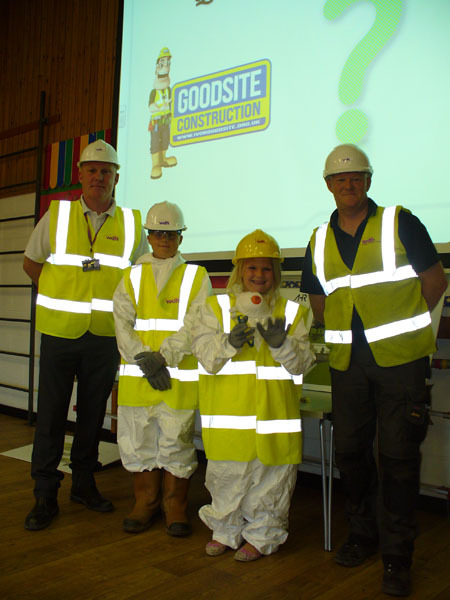 A winning design will be chosen from each year group, with a prize for the winner.Pupils from year one through to year six watched a presentation about the dangers of being on a building site and also found out about the protective clothing tradespeople must wear to keep them safe. Work is in full swing at The Avenues, nearby, as WDH Homebuilder provides off street parking, new boundary walls, fencing and gates. The scheme will also create two new green spaces for local residents to enjoy.